» Top 21 best foods for weight loss: Do they really promote weight loss? According to CDC, 78.6 million Americans adults (accounting for one- third of the total population) are obese and have greater risks of heart diseases, type-2 diabetes, cancers, and strokes. Not only adults but children are also at risk because as per CDC data, approx. 12.7 million children aged 2-19 years are obese. Childhood obesity is a serious condition and results to diabetes, asthma, obstructive sleep apnea, mental health disorders etc. in adulthood. So how do you know that you’re obese or have a normal weight? Normally, someone who is considered to have more weight than required healthy weight is called overweight or obese. And Body Mass Index or BMI in short is a tool to justify whether you have healthy weight or overweight. BMI takes into account your height and weight to calculate whether you’re obese or not. If your BMI value falls below 18.5, you’re underweight. If it falls in 18.5-24.9, you have a healthy weight. You’re overweight if your BMI value is between 25 to 29.9, and an obese if it is above 30 or more. When it comes to obesity, we all always blame our diets and not doing regular exercise. This is, in fact, true because we need to balance the ratio of energy into energy out to restrict storage of excess energy in the form of fat within our body. A healthy man requires about 2500 calories every day to have a healthy weight, and a woman needs about 2000 calories a day for same. The excess calories are burnt during exercise, and if someone does not do regular exercise, the excess calories are stored in our body in the form of fat. How does obesity affect your overall health? Obesity or being overweight not only makes you looking heavy, but also it is responsible for severe life-threatening medical conditions that if not attended on time, may cause even death. It is also known as hypertension, a life-threatening condition with no visible symptoms. According to CDC report, about 35 million people of US have elevated blood pressure levels. Hypertension acts as a catalyst for heart diseases as well as stroke, two leading causes of death among US citizens. CHD (also called ischaemic heart disease) is a condition in which blood supply is blocked due to deposition of fat inside arteries, the blood carrying vessels. This leads to heart attack or stroke. This is a condition in which the airway is narrowed due to fat deposits and that restricts normal breathing while you sleep. If you’re overweight or obese your joints at hips, knees or lower back may have pain due to pressure by your excess weight. An obese or overweight individual may have gallstones. These are hard materials like stones and are made of cholesterol. They are formed in the gallbladder and cause stomach or back pain. OHS is a type of breathing disorder that is found in some of the obese people. It is a serious concern in which blood oxygen is reduced and blood carbon monoxide level is elevated. This is a life-threatening condition and may even cause the death of the person. A diabetic individual has higher glucose or sugar levels in the blood due to insulin inactivity or lack of enough insulin. And insulin is a hormone that converts glucose (from food) into energy. In type-2 diabetes, either our body doesn’t use insulin properly or it has insulin deficiency that increases blood glucose levels. Diabetes and obesity are inter-related. And about 90% of people suffering from type-2 diabetes are either overweight or obese. Being overweight can cause failure of ovaries in women, and reduces the sperm counts in men. Higher cholesterol levels are associated with heart diseases as well as fatty liver diseases. And also a study has proved that an obese individual has an elevated LDL (low-density lipoprotein) level. Looking at the risk factors of being an obese or overweight, it is good to maintain a healthy weight that could keep us away from severe health conditions. And now you may be thinking about what are the best weight loss foods that could maintain a healthy weight or reduce the excess weight you have. 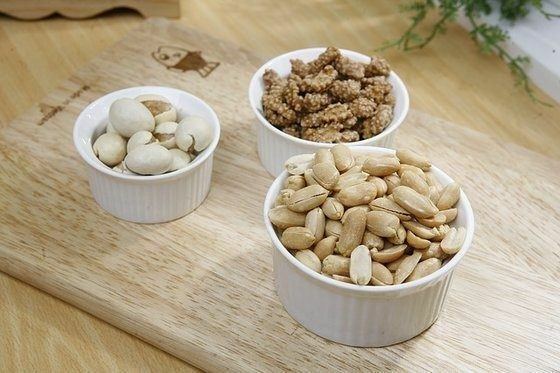 Peanuts, walnuts, hazelnuts, and pistachios have good or heart-healthy fats (poly and monounsaturated fats i.e. omega-3s), high fiber content, antioxidants, vitamins and minerals (magnesium, copper etc.). These are all body essentials for efficient functioning of our vital organs. Also, a study shows that lower levels of omega-3s are associated with increased BMI and obesity risks. Nuts could be one of the best healthy things to eat to overcome obesity. 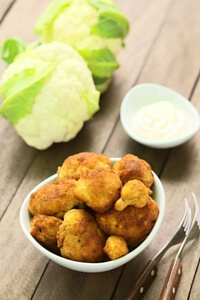 Cauliflower is a rich source of vitamin C (a natural antioxidant), folic acid, omega-3s, fiber and potassium contents, but it is a low carb vegetable. Vitamin C is good to fight infections and keep our immune system healthy. It is also found in a study that people with normal vitamin C levels in their bodies are capable of burning 30% more fat during exercise than those individuals who’re vitamin C deficient. Broccoli is a green vegetable that belongs to the cruciferous family. It is a good source of vitamin C, vitamin K, vitamin A, potassium and folate (vitamin B9). Taking just a cup of chopped raw broccoli a day can fulfill your daily requirement of vitamin C as well as vitamin K.
Vitamin C is good for people who have excess weight and want to lose it. A study report from researchers of Arizona State University suggests that the amount of vitamin C in body relates to fat oxidation. Vitamin K is a fat-soluble vitamin that promotes bone density. It has been found in a study that the low level of vitamin K is associated with osteoarthritis. Cod liver oil has many health benefits including heart health, weight loss, prevents allergic reactions, relieves you from asthma etc. All these amazing health benefits are because of availability of omega-3s fatty acids (EPA & DHA) and antioxidants. Also Read: Is cod liver oil good for your health? 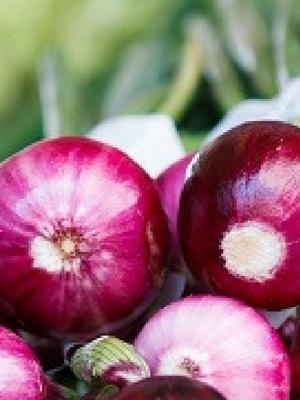 Onions are popular as natural weight loss foods because they have vitamin C, dietary fiber, and phytochemicals. Dietary fiber intake is inversely related with BMI, obesity and fat weight. However, studies show that regular fiber intake in US adults is less than half of recommended intake. Garcinia Cambogia is a tropical fruit and has been a popular weight loss food because of Hydroxycitric Acid content in it. Hydroxycitric acid is a natural weight loss supplement. In a study done for 8 weeks, it has been found that HCA extracts (2800 mg HCA) can reduce BMI and Body weight by 5.2% and 5.4% respectively. So if anytime you think “what are some healthy foods to eat for weight loss” then Garcinia Cambogia should come in top of the list. Also Read: Does Garcinia Cambogia work in weight loss? Green tea extracts have been proved to be beneficial in reducing body weight through a thermogenic mechanism. 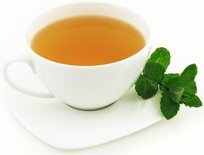 Green tea has EGCG which is responsible for various health benefits of it including reducing fat loss. The effect of green tea extracts has been studied on humans with moderate energy restrictions and the study suggests that green tea extracts reduce 0.6 kg to 1.25 kg body weight. Green coffee bean extracts are found to be beneficial in controlling body weight because of chlorogenic acid. Green coffee bean extracts enriched in CGA (chlorogenic acid) is found to reduce absorption of glucose in our body. And the deficiency of glucose in our body will result to consumption of stored fat that is beneficial for weight loss. It has also caffeine (10%) that is found to be effective in weight control in long-term if taken in moderation. Also Read: Does pure green coffee bean really work for weight loss? Palm oil is a good source of vitamin A, vitamin E, and antioxidants. It stimulates metabolism and break down stored fat. Apple cider vinegar has acetic acid that catalyzes metabolism and suppress appetite. 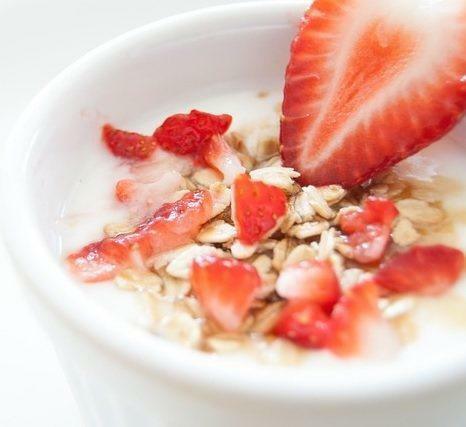 You can start your day with Oatmeal, a delicious but fiber-rich food that helps you in controlling your cholesterol levels and helps you lose unwanted fat. The fiber content also keeps you feeling fuller for a longer time. The lemon juice is rich in citric acid, vitamin C, B-complex, iron, magnesium, calcium, potassium etc. that all play together in keeping our body healthy and fit. Along with maintaining a healthy weight, it helps you in digestion, boosting the immune system, protecting your skin etc. 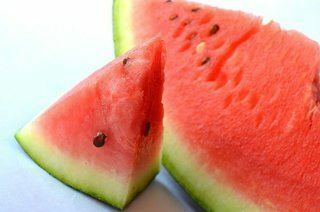 This delicious and water rich fruit is good for body cleansing and weight loss. It has abundant vitamin C (an ounce serving contains 2.3 mg of vitamin C) and beta-carotene (vitamin A precursor). Our body converts beta-carotene to vitamin A that is essential for healthy skin, eyes and immune system. It keeps you satiated, hydrated and suppresses your appetite. Blueberries are low energy density and high fiber foods that keep you feeling fuller without any weight gain. They are also rich in vitamin C and antioxidants that keep your overall health on track. Avocados are rich in fiber that regulate our digestive system and suppress appetite. Also, oleic acid in avocados activates parts of our brain that have the prolonged sense of fullness. A study has also proved that consuming just 40 grams of high oleic oils regularly reduce the belly fat by 1.6 %. Avocados are such great foods that you may have heard by dietitians that eat this and never diet again. So, if you want the answer of what is the best food to eat for weight loss then many will suggest for it. 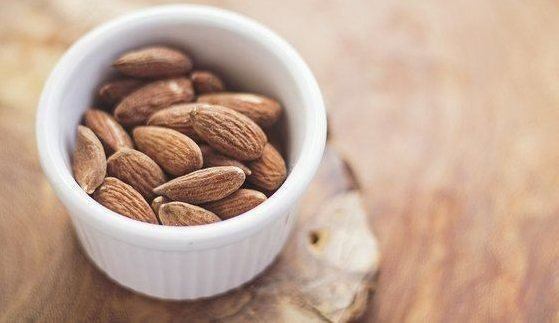 1 oz (28 grams) of almonds is low in sugar and has no cholesterol or salt. But, these small nutrients rich foods have vitamin E, calcium, magnesium, potassium, fiber and iron that are essential for the heart health and maintaining a healthy weight. 1 oz of almonds provides 163 calories that mostly come from poly and monounsaturated fats (good fat). Almonds can be great weight loss foods because of their fat, protein, and fiber content that could keep you feeling full and suppress the urge to overeat. It is a class of vegetables that’s rich in protein and fiber but low in fat. Beans, peas, and lentils belong to this class of vegetables. They are good to maintain the healthy weight due to their high fiber content and low fat. Grapefruits lower insulin levels in our body that suppress appetite. Also, lower insulin levels prevent storing sugar as fat in our body. They are also rich in vitamin C and fiber but have a few calories that help to prevent the accumulation of unwanted fat in our body. Our body works constantly and so it burns energy for everything we do. All the processes like digestion, circulation etc. burn calories. All the calories we take in the form of foods, protein comes on the top of the list that requires more energy to digest. It means more calories are burnt to digest protein. And the best protein for healthy weight loss is the soy based protein. Yogurt keeps you full and prevents you overeating. Along with cooking and skin care, the coconut oil has been a natural remedy for many ailments. Coconut oil is the best source of MCT or medium-chain triglycerides that give coconut oil amazing health essential properties. Eating MCT rich foods stimulates metabolism and digest immediately. MCT molecules are small and produce energy, unlike other dietary fats that produce fats. In a study, MCT oil has been proved to work as a great weight loss diet along with some restrictions in calories intake. The most promising thing in weight loss is doing regular exercise and eating a balanced diet to prevent storage of calories in the form of fat. However, these foods are good to maintain a healthy weight, but in the absence of exercise these could be the foods to avoid for weight loss. If you are on a weight loss diet, then you need to follow healthy eating guidelines to limit your calories intake. Also, you need to see the labels of foods you consume every day and confirm their saturated fats and sugar so that you have a better idea of foods not to eat to lose weight. In your opinion, what is the best weight loss food for you? Please share your views through comments in below section. Previous Post Cod liver oil and it’s amazing health benefits: Top 17 (No#9 We like) Next Post Ketogenic Diet 101: A Diet That Helps Or Another Myth.